Used 2009 Dodge Challenger SRT8 for Sale in Mt. Sterling KY 40353 Joe Oldfield Used Cars Inc. Very nice, well cared for 2009 Dodge Challenger SRT-8! Clean Carfax report with service records! This Challenger comes with some nice features like a 6.1L Hemi V8 engine, navigation, heated suede seats, automatic transmission, CD/SAT/AUX, all power options, push button start, NEW tires all around, 20in alloy wheels, touch screen radio and more! Please call for more information or stop by to test drive! We also offer great finance and warranty options! 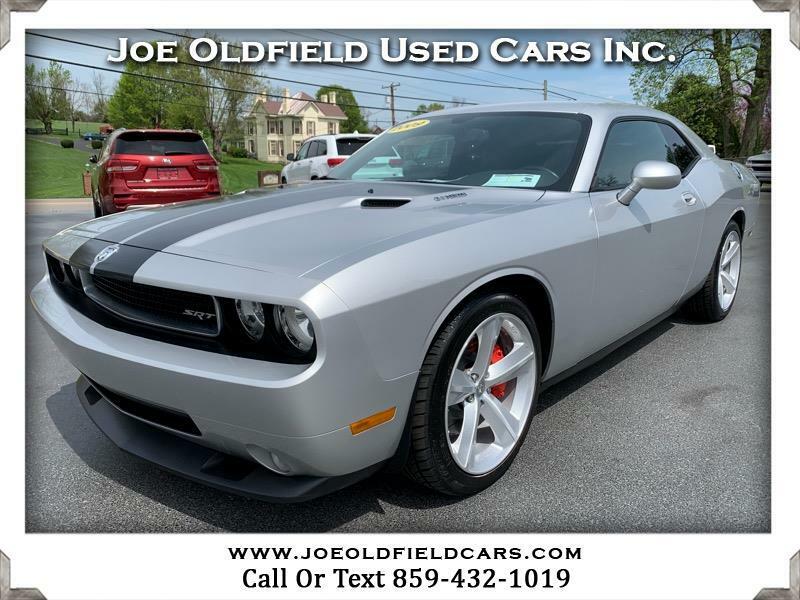 Visit Joe Oldfield Used Cars Inc. online at www.joeoldfieldcars.com to see more pictures of this vehicle or call us at 859-432-1019 or 859-398-9495 today to schedule your test drive.